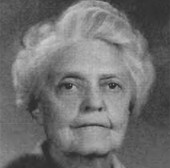 Trial lawyer Dorothy Walker was the first female district attorney in Wisconsin. In 1921, American author and playwright Zona Gale became the first woman to win the Pulitzer Prize for Drama, for the play MISS LULU BETT. Glenn Wise became the first woman to hold a statewide public office in Wisconsin when she was appointed secretary of state in 1955.